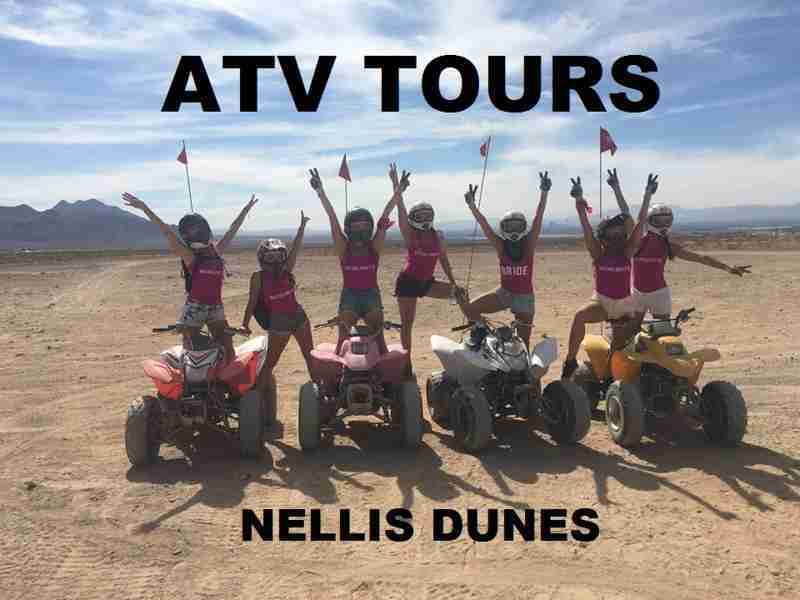 Las Vegas ATV Tours offer specialized and guided ATV rides through the Las Vegas desert and surrounding off-road terrain of sand dunes and mountains. Get ready, because it’s gonna be a wild ride! 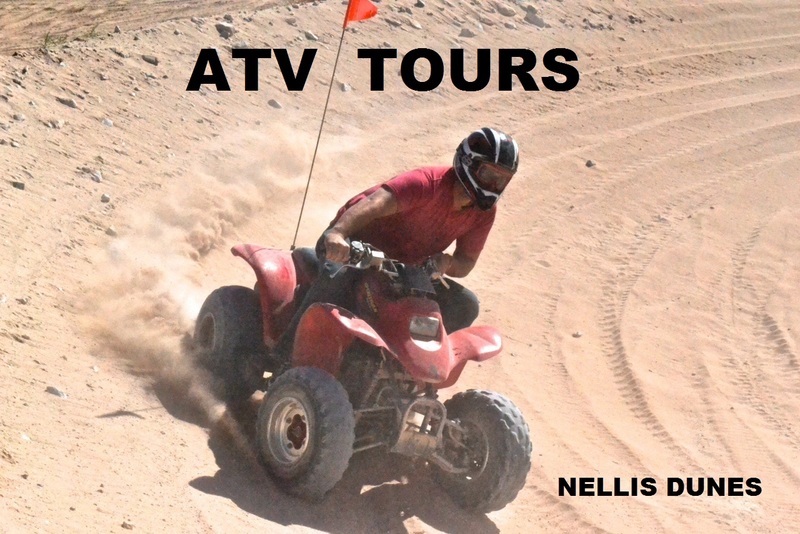 Las Vegas ATV Tours specializes in guided tours across the most scenic and stunning areas of the Las Vegas desert. You’ll ride at high speed over sand dunes and take canyon trails up through mountains. You’ll cross rugged terrain with professionally trained tour guides and reach breathtaking views. And it’s all packed into an awesome 2-2 1/2 hour experience with the only company that is trusted by the US Military. Las Vegas ATV Tours has a fleet of quads, including automatic and manual ATVS from 250cc to 450 cc to match all experience levels for everyone from first time riders, beginner level, intermediate and advanced riders. If this is your first time on a quad, they will ensure that you know how to ride and are really comfortable before you head out, showing you how to manage the chosen terrain, making sure you know how to fully operate your ATV. Experienced riders are also welcome and will know how to enjoy the trail. An action packed good time is less than 20 minutes from the strip, with complimentary pickup and return to your Las Vegas Strip hotel with Las Vegas ATV Tours. Don’t worry if you didn’t pack gear, they provide everything you need including gloves, a helmet and goggles. Lunch, refreshments and snacks are even provided as well by the thorough and well-trained staff. 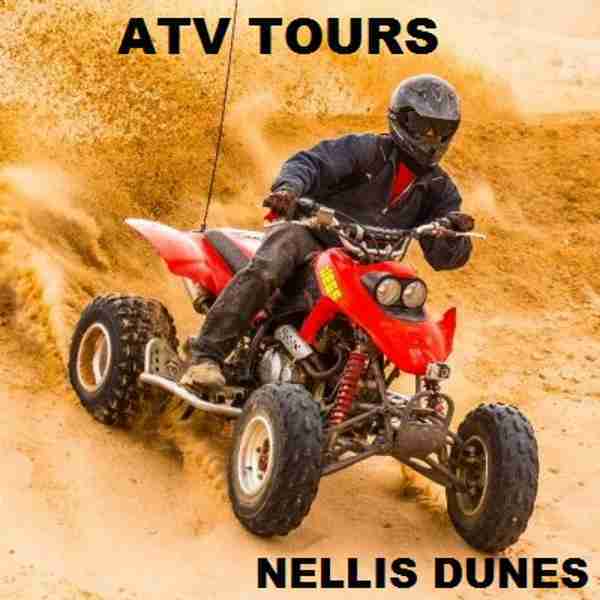 Las Vegas ATV Tours offers a few different rides including the spectacular Nellis Dunes Tour. This special location is located inside the National Off-Highway Vehicle Recreation Area in Las Vegas’ Clark County, an area that provides over 10,000 acres to explore. You can come with a group or the tour guides will match you up with other participants who share a similar skill level. Sometimes they are even able to hook up a personalized tour depending on their availability. 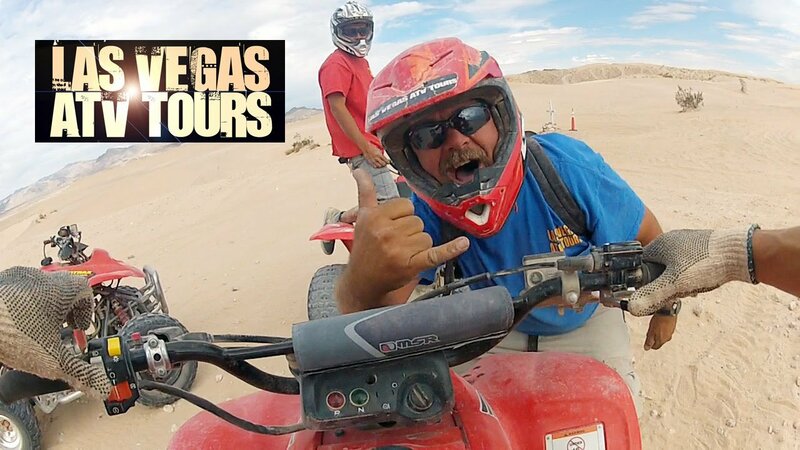 The goal at Las Vegas ATV Tours is for everyone to have a super fun, yet safe experience and they deliver. They know the terrain really well, zipping around the rugged trails, and will show you how to have a blast on your desert ride. You’ll catch views of the strip that can only be seen once you’ve traveled through the off-road landscape of Southern Nevada on an ATV.